While The Chanler’s remarkable legacy dates back to the Gilded Age, the building has been meticulously updated over the years to offer all of the charms and conveniences of contemporary life. We’re now approaching completion of a project designed to take The Chanler to yet another luxurious level. (Who even thought that was possible?) Our new lobby floors in haute herringbone promise awe-worthy results. Let’s take a closer look at what lies ahead...and in this case, below. In fact, the pattern itself dates all the way back to 500 B.C. when the Romans discovered its road paving benefits. Combine this with its fish-skeleton-inspired name, and its origins are less than romantic. Transported to the world of interiors, however, and herringbone is the embodiment of elegance. 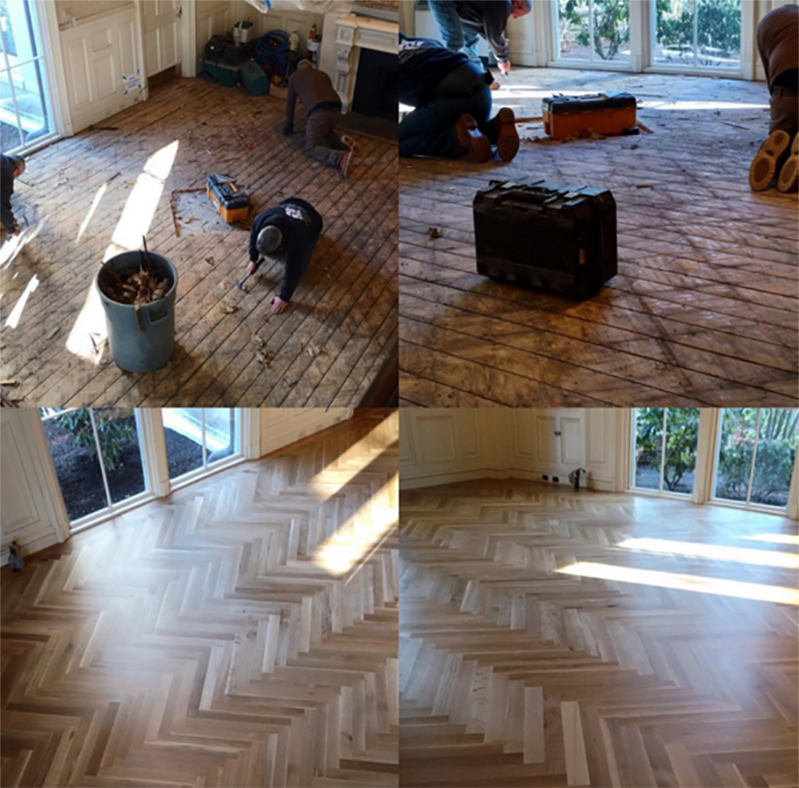 Thought to be one of the first parquet patterns in Europe, herringbone floors can be found in some of the most breathtaking buildings, from revered churches to magnificent mansions. The Francis I Gallery in France’s Château de Fontainebleau, designed and installed by Italian craftsmen in 1539, is one of the oldest extant incarnations of this type of floor. Wondering about the difference between chevron and herringbone? You’re not alone. According to the website Remodelista, “it’s all about the zig-zag.” In the the former, the classic "V" pattern forms a perfect, continuous inverted zig-zag shape; in the latter, the wood pieces are finished perpendicularly for a “broken” zigzag effect. Both fall under the heading of parquet flooring, which simply refers to the arrangement of small pieces of wood into decorative patterns. Since The Chanler's 19th century construction by New York Congressman John Winthrop Chanler, many famous feet have trod upon its fabled floors. We have chosen herringbone as an alluring juncture of past, present and future as we look forward to welcoming a new generation of step-takers to The Chanler this February.